Mercitalia Rail, the freight subsidiary of the Italian state-owned railway, is to support Rail Cargo Group (RCG) and SBB Cargo to develop ‘intelligent freight trains’. The programme is looking at how the digitisation of rail freight in Europe can improve the sector, making it safer and more efficient. An area of focus is to automate the manual brake tests that have to be carried out on every wagon of a newly formed train prior to departure. In future, engineers may be able to carry out this task on a tablet computer in the driver’s cab. 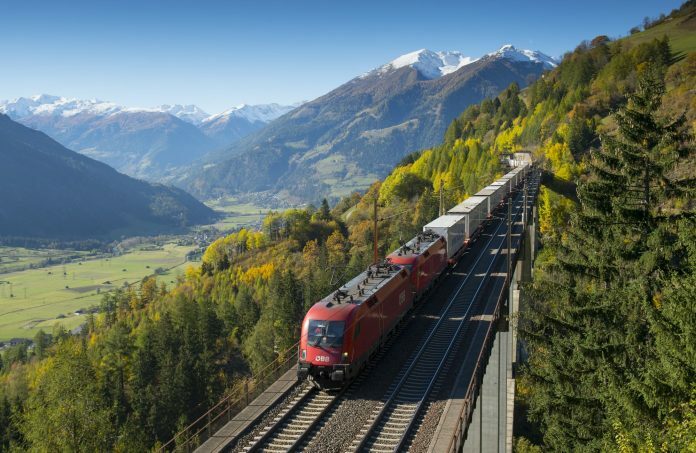 Mercitalia Rail has joined the freight arms of the Austrian state-owned operator, ÖBB, and Switzerland’s SBB to develop the intelligent freight train project. In May 2017, SBB Cargo and RCG signed a contract with PJ Messtechnik (PJM) to develop a new, automated train preparation system, which would include a combination of GPS sensors and cloud computing. Sensors fitted to the wagons feed back information about location, mileage and speed. They can also help improve rolling stock reliability and reduce the number of failures by constantly monitoring the condition of components. SBB Cargo has been running a test train in Switzerland since August 2017 and the Austrian trial was due to start in April this year. The operators involved say by testing these new systems on cross-border routes they hope to accelerate the approvals process across the rest of Europe.